The Curb Event Center was full on Thursday night as more than 1,000 community members flooded its seats to watch the Belmont Bruins men’s basketball team defeat Eastern Kentucky (76-72) and clinch the OVC No. 1 seed. 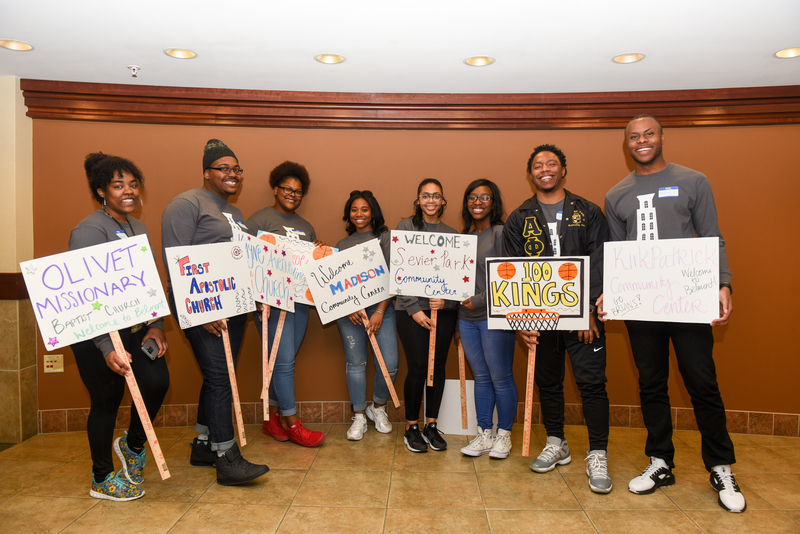 Community centers, elementary schools, nonprofits, seniors and more attended the event, and families from the Belmont neighborhood claimed tickets to cheer the Bruins to victory. As a showing of gratitude to its neighbors, the annual event featured a balloon artist, face painter, photo booth, entertainment and more. Complimentary dinner featured birthday cupcakes and some of the city’s favorite mascots were in attendance to celebrate Bruiser’s birthday. This year’s host partner was Google Fiber, and University School of Nashville also sponsored the event. Keeping with a tradition established at last year’s Community Day, prizes were given to the groups that brought the most attendees. 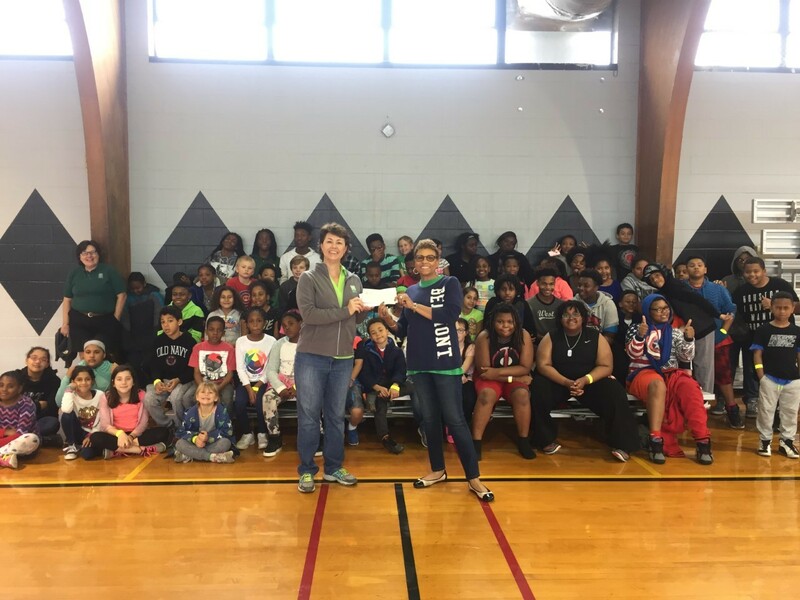 Metro Parks won a $500 prize with 217 and Eakin Elementary and Knowledge Academy won Google Chromecasts for their impressive showing, 209 and 71, respectively. The University presented Metro Parks with the $500 check, which will be used to fund a special children’s event, on March 18. Before the Bruins took the court, the game ball was presented to Manuel, Nashville legend and owner of Manuel Couture. Students from Belmont’s Art Department created a special ball for Manuel–complete with jewels and glitter. Mt. Gilead’s Betty Malone opened the event with a word of prayer and the Eakin Elementary School Choir sang the National Anthem.